How is it already SUNDAY NIGHT?? I wanted to share my FAVORITE quote with you as well as a classic Dr. Seuss quote for motivation for the week ahead! 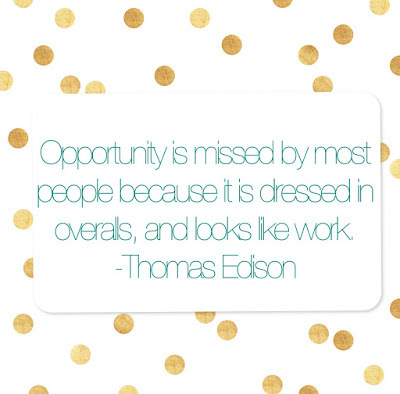 This has been my favorite quote for a longggg time - since junior year of high school! It is the quote I always turn towards for inspiration when things get hard. It motivated me through senioritis, through college, through job searching, and in my current job today. 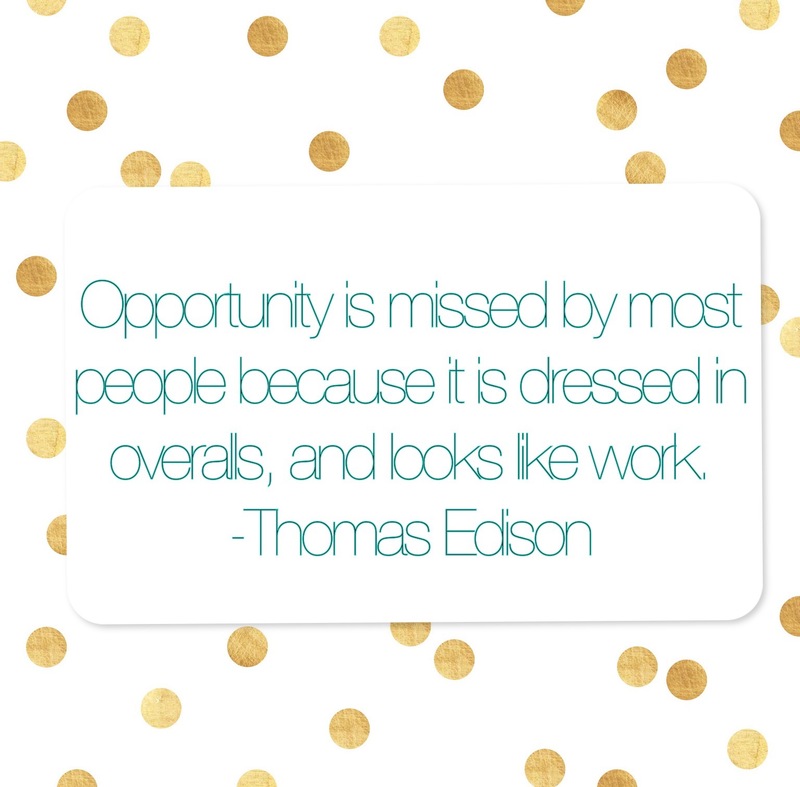 We think opportunity is glamorous and a thing of chance but I truly believe it is in the nitty gritty, in the day to day, in the hard work that opportunities arise. 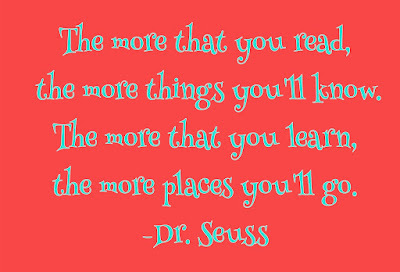 My second quote is in honor of Dr. Seuss' birthday NEXT WEEK! Seriously, does the school year fly or what? 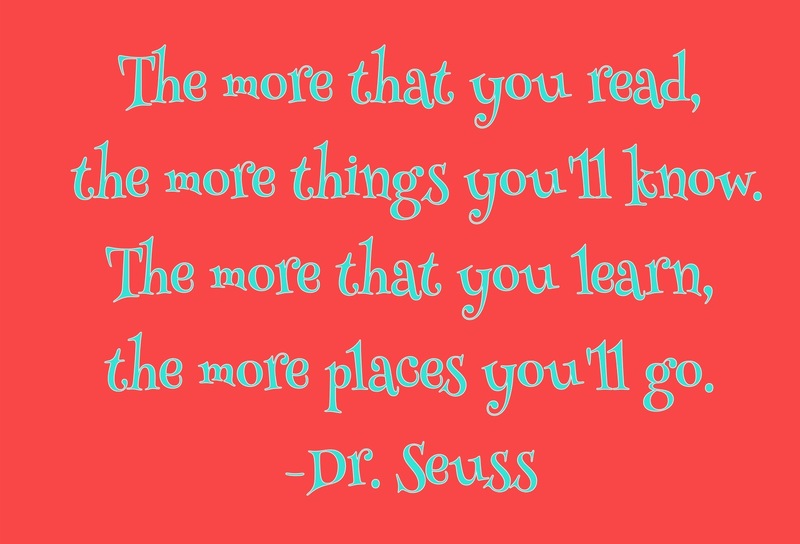 This quote inspires my teacher side of me, wanting to fire up my little students hearts for a love of reading and learning! PS. Made both of these using Rhonna Design Collage App - completely obsessed! !